Nature has given its best when it comes to natural medicine and dietary products. As a natural nootropic remedy, Bacopa represents a herbal nootropic gem of Ayurvedic medicine, an Indian alternative medicine. Bacopa monnieri, or Bacopa, is recommended traditionally for epilepsy, asthma and memory enhancement. The medical classification of this herb puts it in the group of adaptogens, which means that it helps the body to overcome the feeling of stress, protecting the body from illnesses. Bacosides, a group of chemical compounds, are responsible for Bacopa’s activity and probably the most studied substance within this plant is bacoside A. In a nootropic world, Bacopa is mostly recommended as a reducer of anxiety and memory enhancer. Various studies, both on animal and human models, have shown that this herb prevents amnesia induced by drugs, normalizes neurotransmitter levels in a body, increases concentrations of antioxidants (especially catalase, SOD, glutathione), enhances memory, reduces anxiety and increases working capacity. It is recommended to take this plant with a meal, because it is fat soluble and this combination benefits absorption. A recommended dosage is 150 mg of bacosides which should be taken two times per day. For other dosage options, it is advisable to consult a medical professional before starting a nootropic treatment with this herb. Several studies have stated that Bacopa supports brain antioxidant activity and rises the concentrations of superoxide dismutase (SOD), catalase and glutathione, among others. Research performed on rodents has shown that Bacopa protects rodent brains from neurotoxicity induced by both mercury and aluminium, reducing the chances of oxidative stress. This adaptogen plant is able to mitigate negative effects made by oxidative stress and protect neurons from damaging. This means that Bacopa prevents induced neurodegeneration produced by free radicals which promote oxidative stress. Studies have also shown that Bacopa benefits serotonin levels by increasing both serotonin transporter and tryptophan hydroxylase levels, without significant acetylcholine level change. The effect on serotonin levels is probably a cause for anxiety reduction which this nootropic plant promotes. A study performed on rodents which included morphine and Bacopa has shown that this herb prevents an increased serotonin and dopamine turnover associated with present morphine. 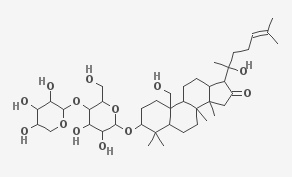 As shown above, Bacopa benefits dopamine levels when taken with morphine. Another study which included rats with Parkinson’s disease, has shown that bacopa offsets dopaminergic neurodegeneration. This indicates that Bacopa could be a potential remedy for Parkinson’s disease in human patients. This herbal remedy is a cognitive enhancer in Ayurvedic medicine and contemporary research completely supports traditional view. The studies have shown that Bacopa alleviates amnesia induced by scopolamine, protecting an individual against memory impairment. It substantially benefits those who are over 55, improving recall and fighting against depression with an improvement in memory retention. The most interesting study linked to Bacopa has shown that it improves learning verbal rate, memory consolidation and speed of information processing. Another study on children has show that Bacopa is able to decrease reaction and performance time, lowering error rate in performance tasks. The same study stated that Bacopa increases memorized digit span and improves test scores in tests such a the bender-gestalt. This test is designed as a visual motor test where individuals draw pictures on paper after seeing a certain series of images. Bacopa is able to reduce the feeling of anxiety, significantly improving the behavior such as different social interactions, reducing mental fatigue and improving memory span. When taken, Bacopa doesn’t need to be administered in higher dosage to achieve the effect, yet the maximal benefits could be seen after 4 weeks of treatment. In the study which involved elderly people, daily Bacopa dosages of 300 mg reduced anxiety, following the supplementation of 12 weeks. A similar study has shown similar effects, where anxiety was successfully reduced after a 12 week supplementation. Bacopa has few side effects which, when taken in recommended dosages, are minimalized and rarely occasional. Therefore, it is recommended to consult with a medical professional before the utilization, informing a physician or a pharmacist when these side effects occur so that certain measures could be taken. The most frequent side effect is a gastrointestinal distress, manifested as cramping, increased stool frequency or nausea. The gastrointestinal symptoms could easily be avoided if the recommended dosage is divided into 2-3 times per day, including combination with food. An animal study has shown a potential elevation in thyroid hormones with no present studies on humans which could confirm this. Another study which is only confirmed among animals talks about effect on fertility, where Bacopa reduced spermatogenesis without a certain impact on libido or hormone levels.